Fantastic project this — it marries snark, with traditional craft, with urgent PIC politics. My idea is to tie the history of solitary confinement at Eastern State Penitentiary with the present conditions of the American penal system. 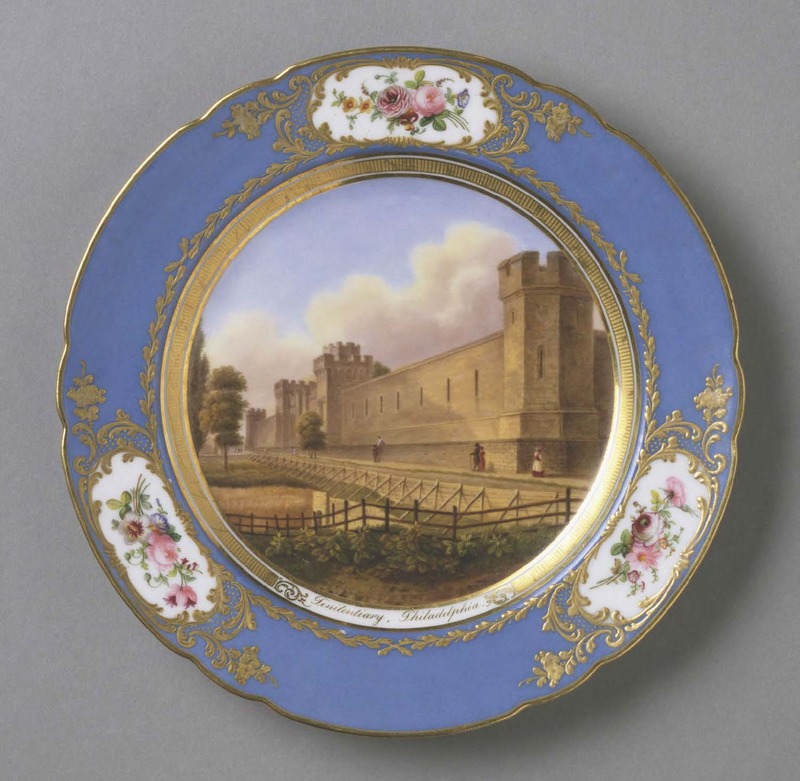 The inspiration for my installation came upon seeing a photo of the Dessert Plate, created at the Rihouet Factory in Paris, circa 1838, which was part of a larger collection of souvenir plates that presented contemporary images of Philadelphia tourist attractions. The sight of a prison, a place of suffering and isolation, on a dish designed to serve the sweetest confections seemed wierdly incongruous and startling, even if the original intention was benign and idealistic.